You wade through a sea of humanity and a hurried, unapologetic onslaught of rickshaws emerging from the multitude of narrow streets opening up on the main road. Each individual is jostling for space and gasping for air. At about the same time, vignettes of our colourful, glittering, charming, glorious history are fighting their own battle for survival, hoping for resuscitation. Amid the hustle and bustle of everyday life in these crowded, over-populated galis and kuchas of Old Delhi lie many untold stories, many forgotten names - the lived experiences of hundreds of years that some of the havelis are waiting to tell. Read on! Ballimaran, one of the proudest repositories of history, unbeknownst even to its own residents, opens up for business unassumingly. You want to scratch its surface, reach out for all that is concealed by the modern footwear shops and optic stores. When you ask around for local historical anecdotes, you smile at how every person has a story to tell, just as every wall of its every haveli! The haveli of the maverick Urdu poet of the Mughal era, Mirza Ghalib, on Gali Qasim Jaan is the pride of Ballimaran! The residents bemoan how the government auctioned off the haveli for a paltry sum of money and converted barely two rooms into a travesty of a museum. Bestowed with such titles as ‘Dabir-ul-Mulk’, ‘Najm-ud-Daula’, ‘Mirza Nosha’ and many others, anecdotes about Ghalib’s life and times never fail to keep the residents and tourists enthused! Right opposite is the famed Unani Dawakhana of the revered Hakim Ajmal Khan. At the turn of the road, you find what’s left of what used to be his residence, Sharif Manzil - the sanctum sanctorum for many medical practitioners of his day. The locals narrate how he would diagnose illnesses with but a look on the patient&apos;s’ face. Entitled ‘Massiha-e-Hind’, he pioneered major breakthroughs in Ayurvedic medicine, set up the Tibbiya College and co-founded the Indian National Congress, participated in Gandhi’s Satyagraha, led the Khilafat Movement and also presided over the 1921 session of the Congress. Wow! Ballimaran is both proud and protective of the memories of both Ghalib and Ajmal Khan. The older generation especially rues the pressing exigencies of the present, which prevented a better, more respectable preservation of this rich legacy. 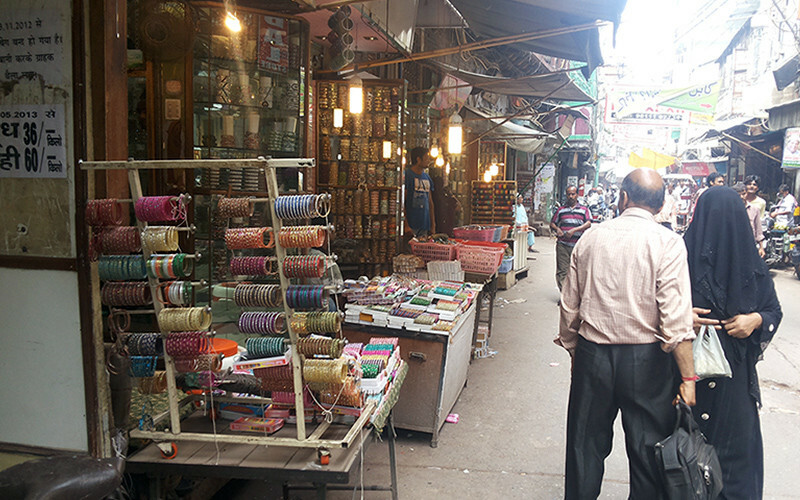 Every gali, every ‘chajja’ you look at, has a distinct history - long forgotten, with gaps in memory filled by the enthusiastic creative imagination of the current residents. Gali Baradari Sher Afghan, the locals claim, was named after a General in Jahangir’s army, famous for tearing open the guts of a charging tiger with his bare hands. He is also rumoured to have eventually married the woman whom history enshrined as ‘Salim’s Anarkali’. There is also the almost-in-ruins Haveli of Hisamuddin Haider who was hanged to death by the British for his active participation in the revolt of 1857. It is also known as Phatak Punjabian, by virtue of its occupation by Punjabi refugees, years later. The locals, relentless, point out with a spirited proud proprietorship, a broken wall which used to be a part of the kothi of Nawab Loharu, who made swords for Emperor Shahjahan. At a stone’s throw from there lie the humble remains of the haveli of Ustad Mohammad-bin-Zauq - the shayari instructor of Bahadur Shah Zafar. 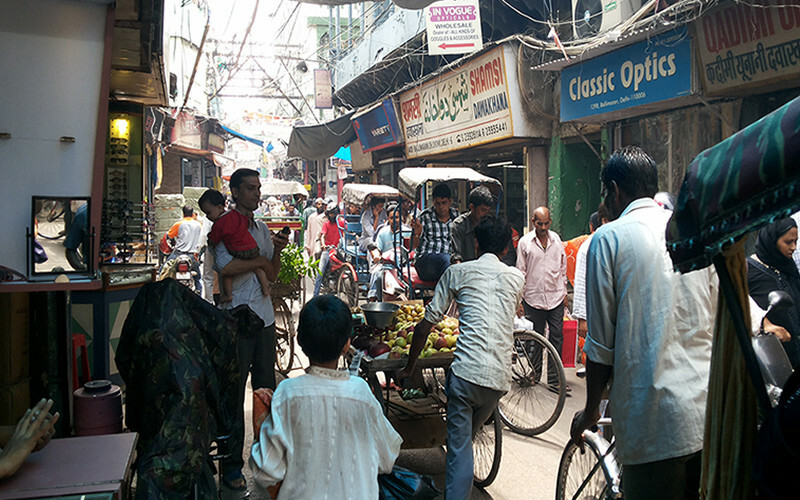 This locality is named after the boatmen of the Mughal era (‘Balli’- oars of a boat and ‘Maran’- the act of steering the oars) who were allocated this piece of residential land - just like the other galis, kuchas and katras of Old Delhi that were named after either the vocation of its residents or some luminary or other of the Mughal court. This long-winding street, throbbing with a history, an identity of its own, is now over-run with a litany of fancy footwear shops, optical stores, bangle shops and some Ayurvedic chemist shops. The line of dingy shops, stitched together with a collective cultural memory, is punctuated with the most delicious and probably the cheapest places selling biryanis, kebabs, kachoris, jalebis and other such mouth-watering grub. As you prepare to leave Ballimaran, having satiated your appetite for both food and anecdotes, you can’t help but wonder what it used to be like - without the congestion, without the population, with colourful, well-lit shamianas, the open spaces, purring courtesans, nightly mushairas and the all-pervading fragrance of gulkand, paan, gajra and itr *sigh*! You smile at the rich cultural baggage, the rich grandeur of an era gone by, the history mapped on those very streets, and forgive the rickshaw-waala who hit you accidentally, and hurriedly fled by. Come on over for some old-school zaika!